The World Wide Web began in 1991, but when we first created a Web site for Energize, Inc. in 1997, we were still “early adopters” of Internet technology for the volunteer management field. We’ve all watched the unstoppable transformation of Web communication from new-fangled notion to total necessity. As regular site visitors will immediately see, we have just launched a totally-redesigned Web site. While we have made other cosmetic changes over the years, this fresh site is qualitatively different in look, navigation, and behind-the-scenes structure. The content management system will allow us to keep the information we offer better updated and accessible through different search options. And we have more opportunities for our visitors to add tips and comments to build our collective wisdom. Welcome! We’ve spent more than a year on this project and my main role has been to update, add, and categorize content. So I’ve been immersed in the flood of information about volunteers, volunteering, and the profession of volunteer management entering cyberspace daily. Along the way I’ve observed patterns and trends both exciting and disturbing. It seemed appropriate to reflect on it all in this, my first Hot Topic on the new site, in this, a new year. I hope you will share your reflections, too. Date of creation alone is not a measure of what remains current and useful. Not everything that is old is outdated; not everything that is new is an improvement. I was dismayed at the elimination of several quality volunteer management journals in different countries over the last decade. Some tried to transition from print to online publications, but few survived. Yet none found a way to keep their article archives available – a great loss. Finally, on the other side of the coin, it is also frustrating to see so many sites with truly dead information that should be taken down immediately! 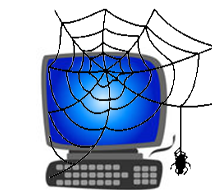 One of my favorite lines is “a Web site that never changes is a cobWeb!” Too many of our professional associations are guilty of this problem. If you run an annual conference, remove (or clearly archive) it from your home page when it is over! Do not keep obsolete material with expired deadlines up to confuse or frustrate your visitors! Good sites are those that are truly specialized and therefore can focus on referring clearly-defined types of prospective volunteers to a specific set of volunteer opportunities. For example, sites that allow licensed medical professionals to donate their skills – or for people with any special training of interest. From the need side, it’s useful to have a place where any organization can solicit board members, Web site designers, writers, or any technically skilled volunteer. Bad sites might be categorized as: “Gee, I am so smart to have thought of this” services. These are pop-up services, often started by young business people, who seem to “discover” volunteering and think that all the field really needs is online matching. Seemingly without bothering to Google the subject, they launch start-up sites, mainly centered on recruiting new volunteers – but without the foggiest notion of how to get organizations to post their opportunities. Such sites rarely remain around for long. The ugly sites begin with the shaky premise of “We want to own this concept.” These sites know all about other existing services, but don’t much care. Their goal is to be the center of the volunteering universe and compete and conquer their perceived competition. It’s first about branding and ownership, and then about serving the volunteer community. As recruiters of volunteers, we’ve learned a lot from online volunteer opportunity registries. For one thing, geography does not matter as much as it used to. People still do look for volunteer activities nearby, but not necessarily close to their own home. They may be searching for service opportunities where they plan to go to school, spend the summer, or just want to visit. Or they might be doing research for a friend or family member in any city. And, of course, the chance to volunteer virtually, online, allows anyone to contribute to causes anywhere on the globe. An online database is only as valuable as the opportunities posted to it – and volunteer resources managers are often guilty of allowing their postings to remain unchanging for far too long. When you’ve filled a vacancy, take down the information so you don’t frustrate potential volunteers! At a minimum, refresh your still-open postings by changing the date, indicating that they are still current. I think learning to post successful position vacancies online is a skill every volunteer resources manager must perfect today, but the many online registries frustrate me for one simple reason: no such database can possibly include every available opportunity. But very few services tell the user that. I would like to see every site include some instructions for prospective volunteers on what to do if they cannot find something they like in the current database: explain about volunteer centers and other local referral agencies; link to other volunteer opportunities sites (yes, the competition! – isn’t it our mutual goal to help everyone volunteer? 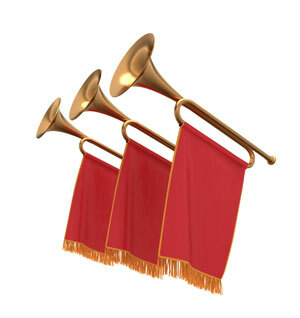 ); give ideas for how to find organizations open to pitching a new service idea. In other words, remind site visitors that volunteering transcends this single database and there is a role perfect for every person who wants to contribute skills and time. No longer feeling “new,” the field’s online discussion forums have faltered, in general. CyberVPM is only a shadow of its original self, though UKVPMs still is pretty active. There are many professional discussion groups on LinkedIn, with periodic bursts of conversation. The good news is that such forums have the potential to reactivate at any time – but only if lurkers become posters (you know who you are!). On the other hand, it’s been wonderful to welcome many new bloggers to the scene. Some of them are well worth following. See the list we’ve compiled and sample them (the blogs are also categorized under different topics in the library if they specialize). Also, please let us know of good blogs we haven’t discovered yet – we put the suggestion form on every site page for you to use. There are fewer real world conferences these days, mainly because of cost, although these get-togethers remain critical to our field. In their place are more webinars and other online learning opportunities. I am still waiting for live events to make better use of real-time streaming video, welcoming off-site participants in live exchange. YouTube and other video-sharing sites add millions of minutes of new video each year, and some volunteer management practitioners have discovered the potential of this medium. It is well worth your time to search YouTube for volunteer recruitment, training, and recognition resources – and perhaps to open your own (free) “channel” for your productions. Learn how to do more insightful searches both on Google and other search engines and also in the search function available on individual sites. Don’t just type in “volunteer recognition” to plow through a thousand hits. Instead, take the time to formulate taxonomy that can help you find what you need. Maybe “special awards for volunteers, humorous” or “volunteer thank-you gifts under $10.” You’ll be amazed at the leap in helpful results, even if fewer hits are found. Be willing to learn principles of volunteer management from different settings. Do not limit your learning to what colleagues in organizations like yours do. Techniques that work in a museum can usually be adapted to a hospital, and vice versa. Something that motivates volunteers in Singapore may also be well-received in Omaha. Start with the universality of volunteering before you apply what might be artificial boundaries. Make time to learn. Not a single reader of this Hot Topic has abundant free time, yet we all have all the time there is. Online resources are tantalizing in their variety, but useless if not opened and read. Set aside 10 minutes a day to look at some professional development material (read a blog or article, skim a report, watch a video). That’s almost an hour per work week, adding up to 42 hours or over 5 workdays a year! Yes, you can expand your knowledge and skills. Energize is proud to be a major collator and contributor of volunteer management information, in support of leaders of volunteers. Not only is the Web critical to our daily work and our personal professional growth, but it is a powerful tool for advocacy. The resources at our fingertips allow us to champion the value of volunteering and promote the importance of our profession. What have you observed in terms of the evolution of volunteer management resources on the Web? Congrats Susan on a great new look! This site has always been a treasure trove of information and resources and now it's even easier to get around! Thanks for linking to my blog and to all those many other blogs. It is a great way of sharing views, having debates and keeping that global connection alive.I have so much yet to discover here! Researching sites like yours are part and parcel of my professional development and indeed is an expectation of my job role. Happy New Year and I look forward to more Hot Topics in 2015! This is a great topic to start things off. I love the new look and navigation is easy. I am currently working on our online volunteer opportunities so I really appreciate this information. I will be using my two fifteen minute breaks to do some professional development. I never hesitate to give prospective volunteers the names and phone numbers of my competitors. I do not like having someone signing off in the negative or leaving my office disappointed knowing that there might be an alternate for them. So I do agree that our mutual goal should be helping everyone to volunteer. Energizeinc.com has always been a wealth of information so thanks to you and your team for keeping volunteer managers like me informed. Susan, the site redesign looks great! I have been reflecting on your points about broken links and lost material from disappearing journals. If there are print copies of those out there and a place to archive them, I would be willing to volunteer to do some scanning. Happy New Year Susan. Much success to you. The new look is well thought-out. User friendly. Keep up the good work. Susan - You struck a nerve with the danger of losing our "valuable info" by not pro-actively archiving. Our Auxiliary has been struggling with this problem for the past several years. We have so many wonderful scrap books filled with such rich history that are simply laying on the shelf. You have reminded me that I need to do something about it. Plus I need to find a way to manage all of the current volumes of photos, etc that are hidden in my computer. The real wake up call was when our Marketing Department was looking for some historical hospital items and I realized that I was the only owner of the only copy of an old VCR tape celebrating our 100th - and of course had nothing to play it on. I have since had it converted to CD. As always, thanks for your guiding light! Great story, Amy! I love it when Volunteer Services saves the day! Hope you can enlist some expert volunteers to help you with a new digital archive for the whole hospital.